Live Operation is a service to send push notifications to targeted app users through filtering. App admins can enhance the convenience of the advanced push system by integrating with Live Operation. If you use LiveOps 1.2.9 version(Jul. 30th. 2015 updated), please check below migration guide. Edit the Android Manifest file for the Live Operation integration. Other than the app key, hash key, and authorization established in the general integration, add Extra Authorization and Push-related Receiver & Service. Add meta tag to integrate Google Play Services. Add required permissions for Live Operation within <manifest></manifest> tag. + Enter the package name of the integrated project in MY_PACKAGE_NAME in the C2DM permission settings. Register the required receiver and service for Live Operation within the <application></application> tag. + Enter the package name of the integrated project in MY_PACKAGE_NAME in the receiver settings. + Are you looking to participate as an adPOPcorn advertiser? If you wish to run CPI advertisements through the adPOPcorn ad network, you should register the Google installation receiver. To use Live Operation, the basic integration should be proceeded through the API below from the app's main activity. Once integration is completed, the server push becomes activated and the read status of your push notifications can be tracked. + The Live Operation service runs the activity registered as the Launcher in the Android Manifest when the push message is read. + User identification value must be registered by using the setUserId API so that it can be included in the push notifications being sent out. + If a Korean character, spacing, or special character should be used as user identification value, it must be encoded. + When the application changes to foreground state, you have to call resume api in order to track push open. User Identifier Value is to verify each user on Live Operation. Must go through URL encoding if contains Korean, special character, or black space. Must be set before Igaw~.LiveOps.initialize API is called. Live Operation's Server Push offers deep link feature. Deep Link enables users to perform an action defined in the Deep Link data when receiving and reading a push message. Deep link feature overrides Android's onNewIntent function and implement depending on the link type. //transfer intent to onNewIntent listener. * Execute the scheme action transferred to the deep link. * Extract the Json string transferred to the deep link and convert it to the object. *     //Parse the Json object to implement to run the activity. Add IgawLiveOpsPushMessageLauncherActivity at Manifest file. And when the push message is clicked, input scheme and host at <intent-filter></intent-filter> tag of the activity going to be opened. If Custom Scheme is myApp://activity.com, Input myApp at scheme and activity.com at host. + Put the package name you at MY_PACKAGE_NAME that you are integrating. Live Operation provides a client push feature where you can create and use push messages by using the API directly from the client. Generally, client push creates and displays push messages in case the user matches the pre-designated conditions of the app. Moreover, it can be used as a way to create push messages through server events if communication between the developer's server and the app is available. In the client push, Normal Push and Big Text Push are supported. General client push is comprised of basic texts. Push messages can be created and displayed through the setNormalClientPushEvent API. 1,			// Event ID, a value needed when canceling. Big text client push supports text entry of up to 160 English/Korean characters. Additionally, the HTML form available for Android apps is supported (bold, underline, font color). 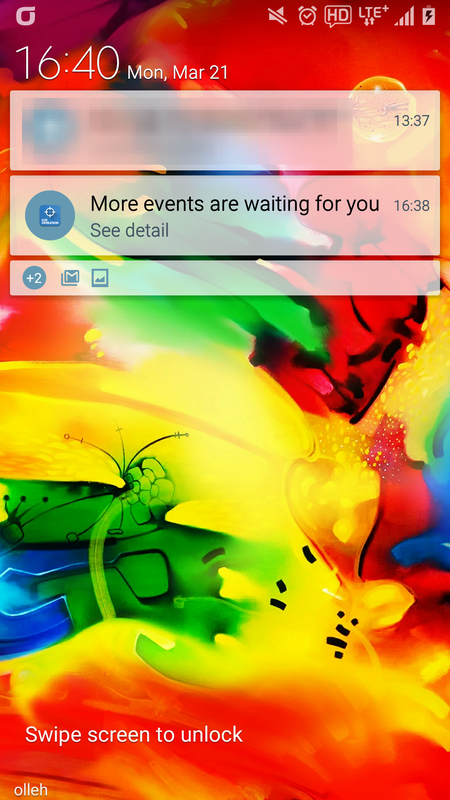 Push messages can be created and displayed through the setBigTextClientPushEvent API. How pushes are displayed may vary according to its type, Android OS version, and the status of the push message bar. You can create a user group manually to move it to push targets. Created user groups can be verified in the Live Operation Admin page. They are not available in the client push. Set your user group by using the setTargetingData API. See below for parameters and examples. user_group : The name of user group available at the management page. data : Object type user data that will be input in user group. Supports bool, int, long, float, String. //user_group : Name of the user group which can be checked in the admin page. //user_data : User data to register to the user group, We support int, long, double, bool, object in user_data. //e.g.) You can register the data of purchases to the group which the purchased users were grouped into. Call resume api to sync the targeting data to the Live Operation Server. Add the following in Activity OnApplicationPause(). To update the data sync manually, call flushTargetingData api to sync the targeting data to the Live Operation Server. Can set whether to receive push message or not. And it calls API as it's configured. Furthermore, we offer delegate for this event. Use the delegate to process the result of the action. enableService API is called, and this is the example including the parameter. false : Does not receive Push. 전송되는 푸시에 대해서 수신 여부 이벤트 대한 델리게이트를 제공합니다. enableServiceWithDelegate API를 호출하여 사용하며, 파라미터와 사용 예시는 다음과 같습니다. The image the Target Push use as the push icon is the app icon image registered as the Launcher Icon. If you need to change the image for the Google Featured, you can replace the image by calling setNotificationIconStyle api. + Call after IgaworksUnityPluginAOS.LiveOps.initialize api. + Input the image filename without the extension. + Every image that is suitable for the Drawable folder with every resolution must be added. Heads-up notifications and Lockscreen notifications settings are provided in Android os 5.0 or above. Heads-up notification feature allows you to send push notifications to an active device. 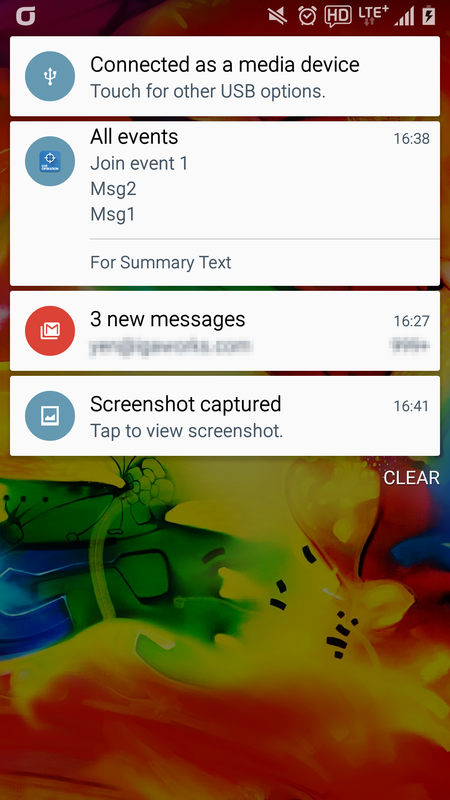 Lockscreen notification feature lets you to send push notifications on the lockscreen. Call setNotificationOption api to set Heads-up/Lockscreen notifications. VISIBILITY_PUBLIC (int:1), Lockscreen notifications ON, with previews shown. + Lockscreen notifications will be activated when user's device is on the "Hide sensitive content" mode. + Lockscreen notifications might not work when using a lockscreen. You can group all the notifications together in a stack. Inbox Style works only in the server push. Call setStackingNotificationOption api to set stacking notifications. true : Stacking notifications ON. false : Stacking notifications OFF. true : When expanding the notifications, show the title. false : When expanding the notifications, show the text. empty : Show the most recent title and text. your_custom_message : Show the title and text called by the api. your_custom_message : Show the title called by the api. empty : Do not use the content summary. your_custom_message : Show the content called by the api.